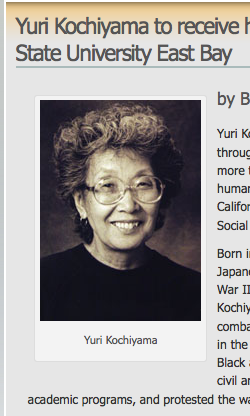 Yuri Kochiyama -- human rights activist, once a close friend of Malcolm X and subject of the biography Heartbeat of Struggle by Diane C. Fujino -- has been selected to receive an honorary doctorate from California State University. Kochiyama is one of three people who will be honored Saturday at the university's commencement ceremony. Read more about the honor here.